* Log in for a free card! * Quests award gold & dust! * Earn up to 3 packs from a new quest! * Cold Blood – Now costs 2 Mana. * Flametongue Totem – Now costs 3 Mana. * Equality – Now costs 4 Mana. * Hunter’s Mark – Now costs 2 Mana. * Emerald Spellstone – Now costs 6 Mana. 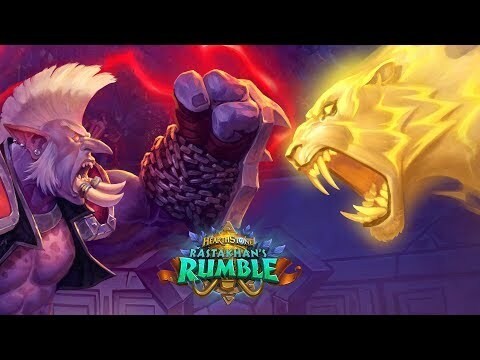 Rastakhan’s Rumble arrives starting December 4! * Legendary Champions and Loa minions! * Rare quality Spirit cards! * Free single-player content opens December 13. Log in starting Dec 4 to claim free Rastakhan’s Rumble bonuses! Log in starting Dec 18 for a Winter Veil event! Rastakhan’s Rumble is now available for pre-purchase! * Log in Nov 7 – Nov 11 and get 6 The Boomsday Project card packs! * Celebrate the Players Quest: Repeat x 5 for a total of 500 gold! * Hallow’s End event returns October 17 - October 31. Log in for a free golden Witch’s Cauldron card! * New Player Ranks - Added New Player Ranks from Rank 50 to 26 for new players only. Earn up to 22 packs! * Welcome bundle update - 10 Classic card packs, and a Legendary dragon! * New non-class daily quests. *Resolved an issue that was increasing the size of the app. The Boomsday Project an expansion of 135 new cards, arrives August 7! * Log in after launch to claim 3 packs and a random Class Legendary minion (or Hero card)--FREE! 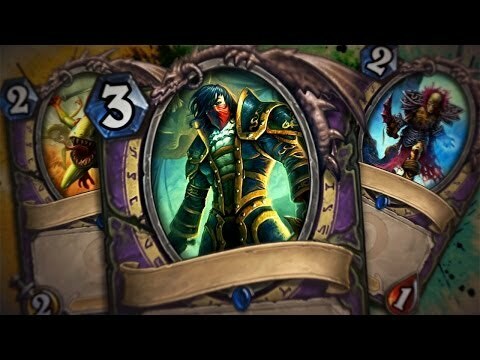 Card Changes – Visit www.playhearthstone.com for details. * Shadowboxer now activates when a minion is healed. Two new The Boomsday Project bundles! Discount packs, a new card back, and even a new Warlock Hero! Pre-purchase or grab a Mega Bundle! Or BOTH! The Midsummer Fire Festival returns soon! * The initial download size of the mobile Hearthstone client is smaller. * Large screens, such as Samsung Galaxy S8 & S9, are now supported. * Log in June 13 to claim a free Golden Classic Pack! * Draft 28 special cards unique to the Arena. * Special Quests award both gold AND dust. Get in Here Bundle available until June 19! * Buy 10 packs at a special price. Purchase any number of times! For a full list bug fixes and gameplay improvements, visit www.PlayHearthstone.com for details! * The Witchwood, Hearthstone’s newest expansion, arrives April 12! * Pre-purchase is available until 11:59 p.m. PDT on 4/11. This bundle includes 50 card packs plus 20 bonus packs and a card back! * The Year of the Raven begins when The Witchwood launches! Ranked Play Update* Reset only 4 ranks after each season* All Ranks have 5 stars* Earn monthly card back by winning 5 matchesBalance Changes* Corridor Creeper - Now has 2 Attack* Patches the Pirate - No longer has Charge* Raza the Chained - Now reduces Hero Power cost to 1* Bonemare – Now costs 8 manaWildfest - Join us for a Wild party Feb 19 – March 11Please visit www.PlayHearthstone.com for details! *Card Changes**Innervate - Now reads: Gain 1 Mana Crystal this turn only. (Down from 2)**Fiery War Axe - Now costs 3 mana. (Up from 2)**Hex - Now costs 4 mana. (Up from 3)**Murloc Warleader Now reads: Your other Murlocs have +2 Attack. (Down from +2 Attack, +1 Health)**Spreading Plague Now costs 6 mana. 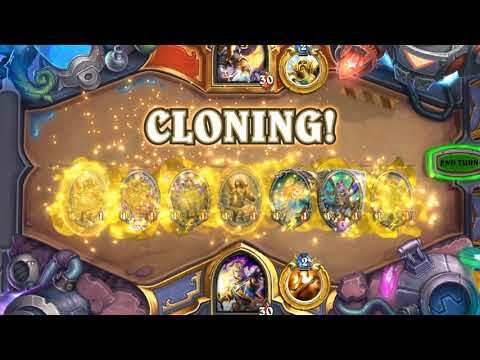 (Up from 5)Please read the Upcoming Balance Changes – Update 9.1 blog at www.playhearthstone.com for full details regarding the reasons and philosophy behind these changes.